Sultanate of Oman has authorized Germany-based Aaronia AG to supply and install a state-of-the-art drone detection system at Muscat International Airport. In partnership with R & N Khimji LLC, Oman’s government has commissioned Aaronia AG as the official provider of drone detection at airports across Oman. The solution, which has already been demonstrated locally, detects drones and other devices using RF technology. Depending on the system’s specifications, the detection radius can range up to 50 km. With a mandate worth 10 million euros, the specific system locates multiple drones at various frequencies simultaneously, and comes fully equipped with sophisticated long-range camera technology for additional optical verification. Aaronia has been specializing in high-end RF and microwave technology for over 15 years, with software and hardware being developed at scale in Germany. As the most recent incidents at UK airports Gatwick and Heathrow have shown, commercially available drones can quickly pose a sensitive threat to airport and flight passenger security. As a consequence, drone detection at airports has become a substantial necessity. Oman airports have thus been looking for a solution providing the best detection performance and, at the same time, the highest possible level of security for its passengers. Due to its RF-based technology, Aaronia’s AARTOS system sets itself apart - especially with small drones, most radar-based systems have a low detection rate, while simultaneously displaying a tendency towards frequent false alarms. Moreover, radar technology used for drone detection will inevitably cause interference with airport flight control systems. Instead, Aaronia’s unique AARTOS solution uses cutting-edge AI-based RF detection, thus emitting no signals whatsoever, and causing no interference with existing airport systems. In addition, AARTOS detects the drone operator’s location, providing airport security with more leverage in safely landing UAVs. Further security comes through Aaronia’s RTSA Suite PRO, software that includes a 3D map of the airport and its surroundings, camera control as well as real-time air traffic display. 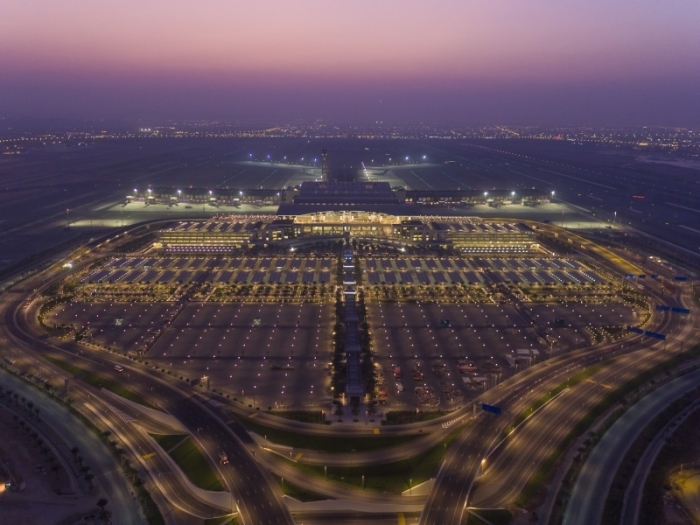 The AARTOS system’s commission has been officially confirmed by Oman authorities, making Muscat the first international airport in the world to have an operational drone detection system. Various government agencies rely on Aaronia’s AARTOS DDS systems, most notably police and military forces. AARTOS is used for the protection of high-profile personnel, national infrastructure or strategically important sites, namely power plants, correctional facilities, borders, political or VIP events as well as military airports and airbases. The AARTOS detect-identify-track-and-defeat C-UAV system was released to the market in 2015 and is currently in its 3rd generation. The 4th generation is scheduled for market release in summer 2019. Over 50 AARTOS systems were installed worldwide in 2017, while Aaronia has received more than 300 orders for 2018.